While many people believe that summer weddings are the most traditional way to create a perfect setting for a happy day, there is a growing interest in winter weddings. 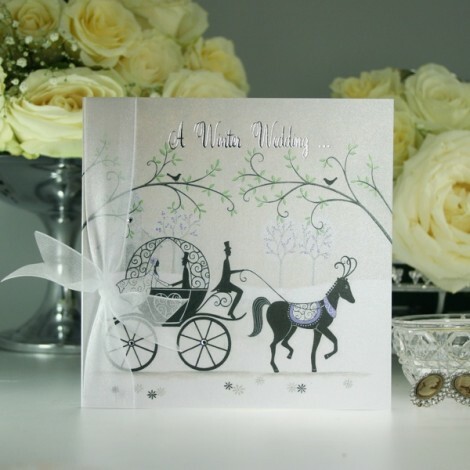 There are many reasons for this, including availability of venues, a special time for the couples; a desire to get married sooner as opposed to waiting for the following summer, and for many people, winter is a magical time of year. While the sun and warmth of the summer is a perfect backdrop for many weddings, it isn’t for everyone and there is also the fact that there is no guarantee that the weather will cooperate on a wedding day. 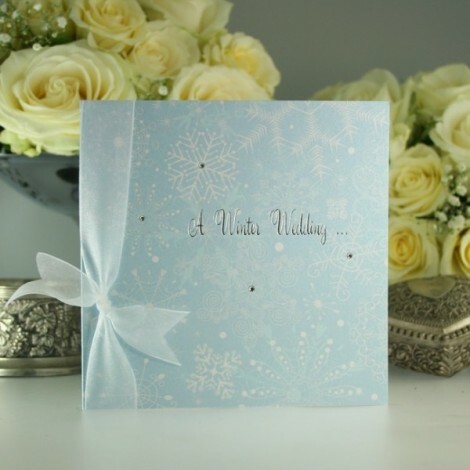 The crisp nature of winter is the favourite season for many people and with this in mind; winter weddings are often the ideal time to tie the knot. 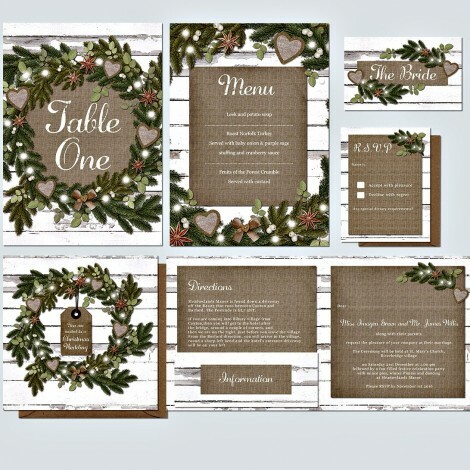 Its stands to reason that the colour schemes associated with a winter wedding can be different from the themes and colour combinations that are associated with summer weddings. While there are some colours and schemes that are naturally associated with weddings, winter weddings have a flair and style of their own that stands them apart from summer weddings. Thinking about the colours that are normally associated with winter provides you with an ideal starting point in thinking about what colours would be suitable for a winter wedding. 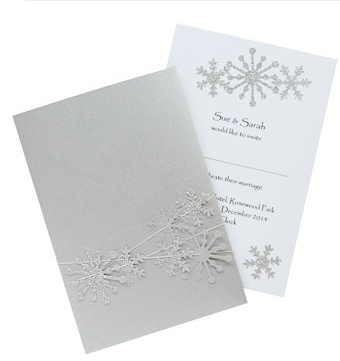 A cool white colour is always impressive for a wedding but for a winter wedding, the connection to snow and ice means that this colour takes on added importance. 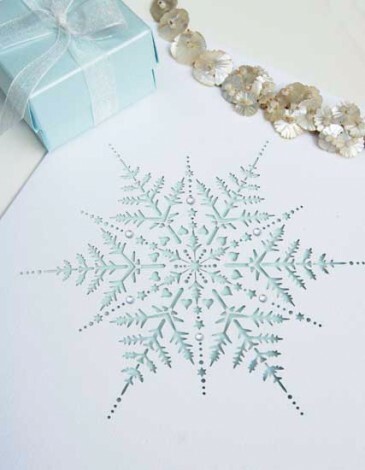 The wind, ice and snow are also strongly connected to silvers and cool blues, so if you are keen to incorporate the glacial majesty of winter, there is no barrier to the colour scheme you can create. 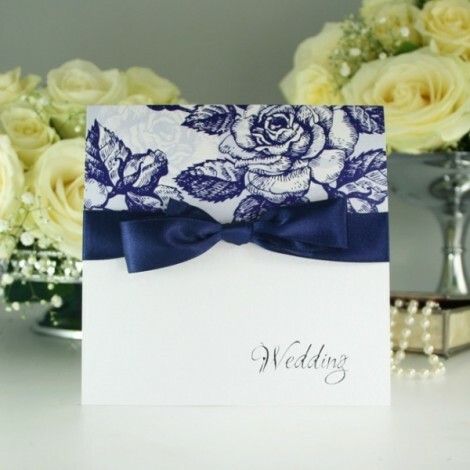 These colours can be incorporated into many aspects of your wedding, from the venue decorations to bridesmaid dresses and of course, the wedding invitation. 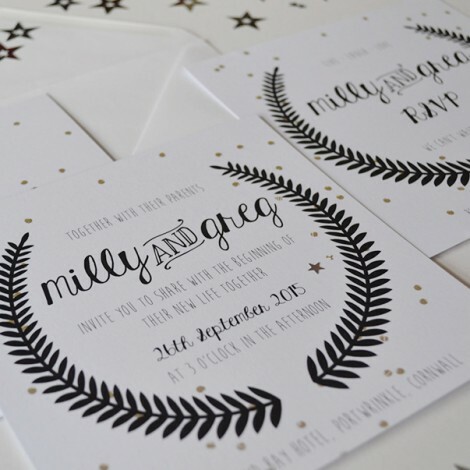 Given that the wedding invitation is often the first contact that you have with your guests with respect to the special occasion, it can be good to set the tone straight from the off. 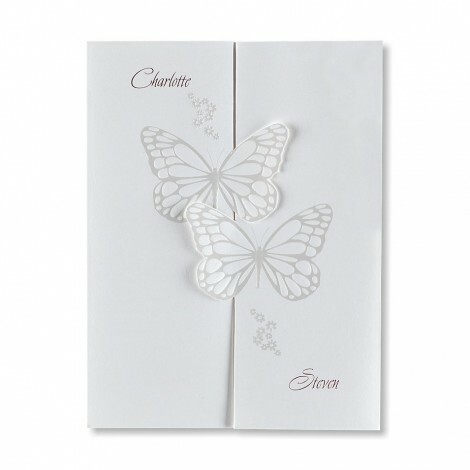 Wedding invitations will usually be sent out in advance of the wedding, which means that they are likely to arrive with guests in the autumn or summer. 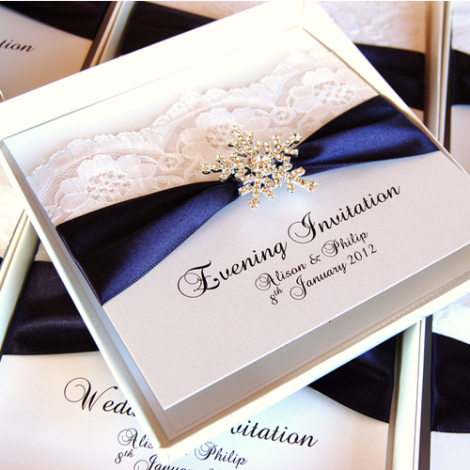 Using a winter style colour scheme or design for your wedding invitation immediately sets the tone while informing your guests of when the wedding will take place. When it comes to helping people save the day or plan ahead for the wedding, providing a notable visual clue is a great way to help people plan ahead. While it is easy to see why many people opt for cold and harsh colours to depict a winter style, for many people, the best aspect of winter is wrapping up warm and feeling cosy during the cold months. 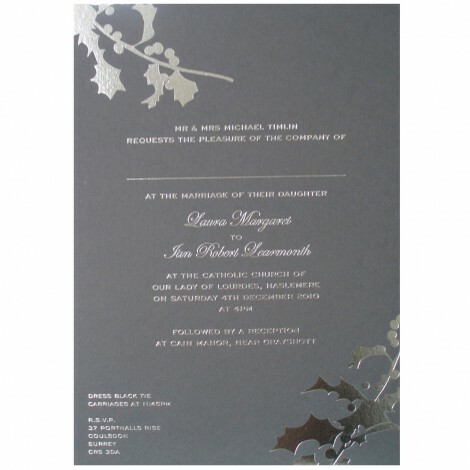 This means that colours such as warm reds, Christmas style gold and holly green are all popular colours for weddings at this time of year. 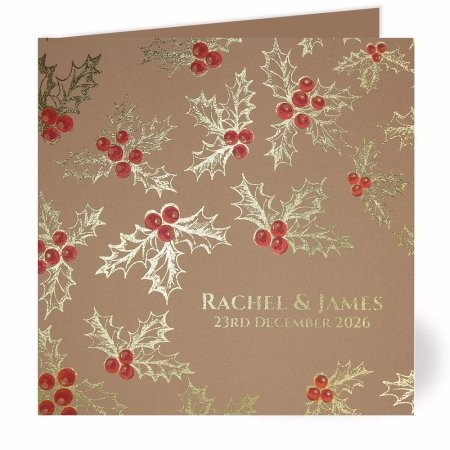 Depending on when your wedding is taking place, a slight festive tinge or twist may be wholly appropriate. 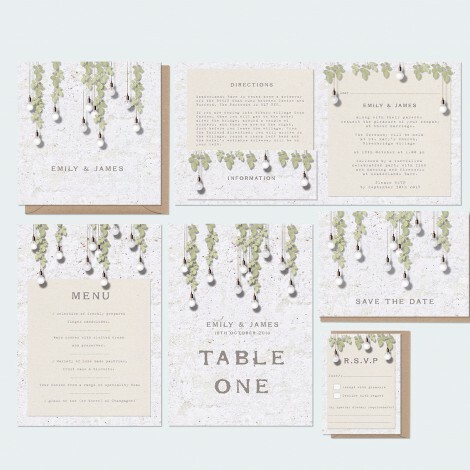 Again, if this is the theme of your wedding, it can easily be incorporated into your wedding invitations, ensuring that your guests are aware of what lies in store for them during your celebrations. 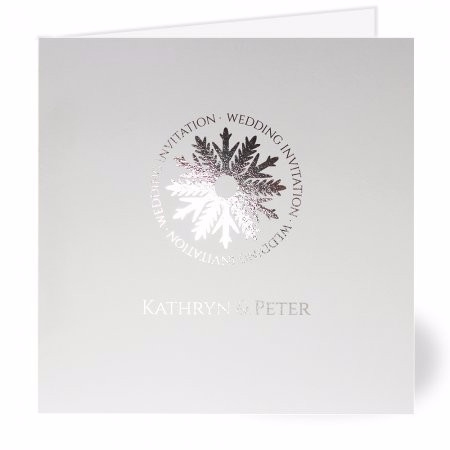 With winter weddings an integral part of the wedding season, there should be no difficulty or issues in finding the right invitation for your needs. 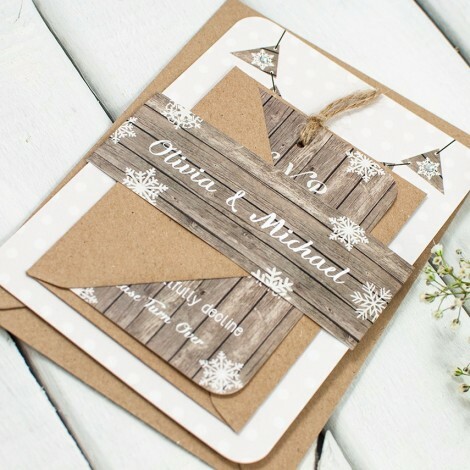 There are many winter wedding invitations which have already been created, so if you are looking for an existing style of invitation, you should be able to find one without too much fuss or effort. 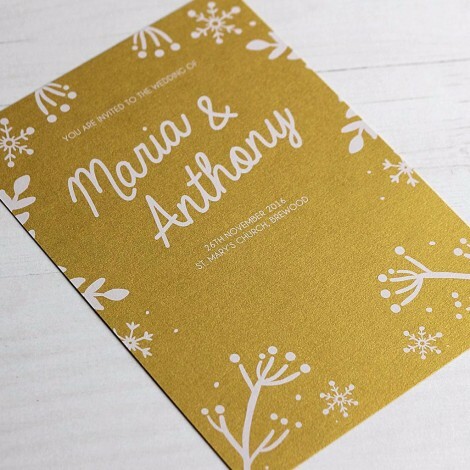 If you are keen to find a bespoke wedding invitation, the wide range of colour schemes and flourishes that are associated with winter weddings should provide you with the chance to create something that is very personal and unique.